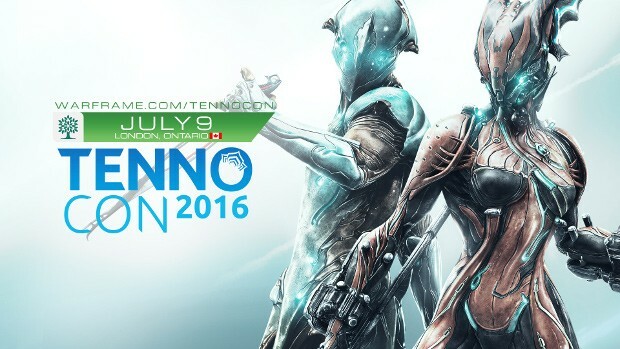 Digital Extremes is holding a Warframe-specific convention in London, Ontario for all their fans. The event will take place at the London Convention Center on July 9 and will offer attendees a chance to hang out with Warframe developers, Twitch and YouTube personalities, and other players. Full Day Ticket – $25 CAD – includes full day access to the event along with free, exclusive in-game swag. Collector’s Ticket – $75 CAD – includes full day access to the event along with free, exclusive in-game swag, PLUS an exclusive TennoCon t-shirt and additional swag. Limited VIP Ticket – $250 CAD – includes all previous tier items along with a Limited Edition Nyx Collector’s Statue and a Digital Extremes Studio Tour, complete with Canadian Brunch with the Warframe Development Team. The whole event will be capped off with TennoLive, a broadcast of the Devstream series. Those unable to attend the event can watch this on Twitch. Kinda ironic how the game is designed like this to keep people like you out. It is a grindy game, but not so much when you enjoy the gameplay, strategy, and lore. If you’re new to this game, find a clan, because having access to Dojo blueprints helps tremendously. Use your free 50 Platinum on more weapon slots. Google mods and Prime items for what they’re going price is amongst others and ask a fair price. You’ll get Platinum to buy more warframe/weapon slots this way very easily. shows you never played the game. GG stop having an Oppinion on things you dont udnerstand. meeh to far from Germany. But nice to see Warframes Fanbase is huge.